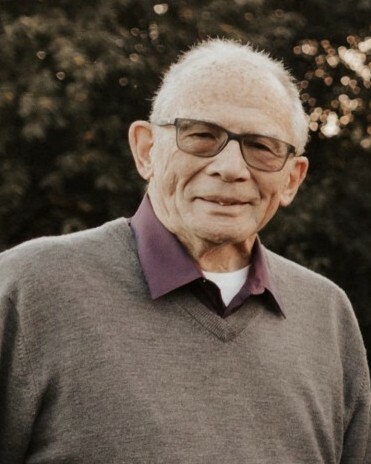 Dr. Frederick Robert Rubin was called home by his Lord and Savior Jesus Christ on February 9, 2019 in Oklahoma City at the age of 80. He was born June 23, 1938 in Boston, MA to Arthur and Lillian Rubin. After graduating High School in Boston, he attended Boston University where he would earn his undergraduate degree in AB Biology. Influenced as a young man to pursue the field of Dentistry, he then entered Graduate school at Case Western Reserve School of Dentistry, where he would graduate with his Doctor of Dental Surgery degree. Wanting to specialize in Maxillofacial Surgery, he attended Boston University’s School of Graduate Dentistry, and fulfilled his residency at Beth Israel Hospital in Boston, Ma and the VA Hospital in East Orange, New Jersey. After the completion of his residency he enlisted in the United States Air Force as a Captain in the Vietnam War. He later moved to Oklahoma City where he would meet and marry the love of his life, Chrystal Payne on January 12, 1995. God joyfully blessed Fred and Chrystal over 24 years of marriage. Dr. Rubin’s accolades are numerous and included practicing Oral and Maxillofacial surgery for over 40 years. He was a passionate professor for both Rose State College and the University of Oklahoma. He was the medical director for Advanced Cardiac Life Support for 32 years. He was an impressionable motivational speaker, and was an avid member of many organizations including the American Dental Association, the Oklahoma Dental Association, the Board of Oral and Maxillofacial surgery, and the American heart association. He was selfless and always put others needs above his own. His relationship with the Lord was undeniable and he would never lose an opportunity to witness or pray for a friend or stranger. His love for the Lord and his passion for fellowship led him to be an active member at Brookwood Baptist Church in Oklahoma City. The most joyful times of his life included quality time with family. The most meaningful, were memories that were made with the ones he loved. He enjoyed traveling, working out, watching sports and attending his sons’ hockey games. Dr. Rubin is survived by his loving wife, Chrystal DeAnn Rubin; Sons; Mark Rubin and wife Lisa of Plano, TX. Michael Rubin and wife Monika of Frisco, TX. Joshua Wyatt and wife Stormy of Oklahoma City. Grandchildren; Lindsay, Alex, and Calli Rubin of Plano, TX. Alex, Hallie, Landon and Andrew Rubin of Frisco, TX. Brother; Barry Rubin and wife Eva of Crystal Lake, IL. Niece, Jill Ripes. Great-nephew, Joshua; and great-niece, Jessica Ripes. Nephew, Todd Rubin and wife Abby; great-niece Reese and great-nephew Mack Rubin. He is preceded in death by his daughter Laura Rubin and parents, Arthur and Lillian Rubin. Visitation for Fred is 4:00pm to 8:00pm, Wednesday, February 13, 2019 at Moore Funeral and Cremation, 400 SE 19th St. Moore, OK 73160. Services are 2:00pm, Thursday, February 14, 2019 at Brookwood Baptist Church, 8921 S. Walker Ave. Oklahoma City, OK 73139. Interment will follow at Sunset Memorial Park Cemetery in Norman, OK. Donations may be made to Heartline Oklahoma City or to the American Heart Association. Condolences may be shared at www.MooreFuneralCremation.com.